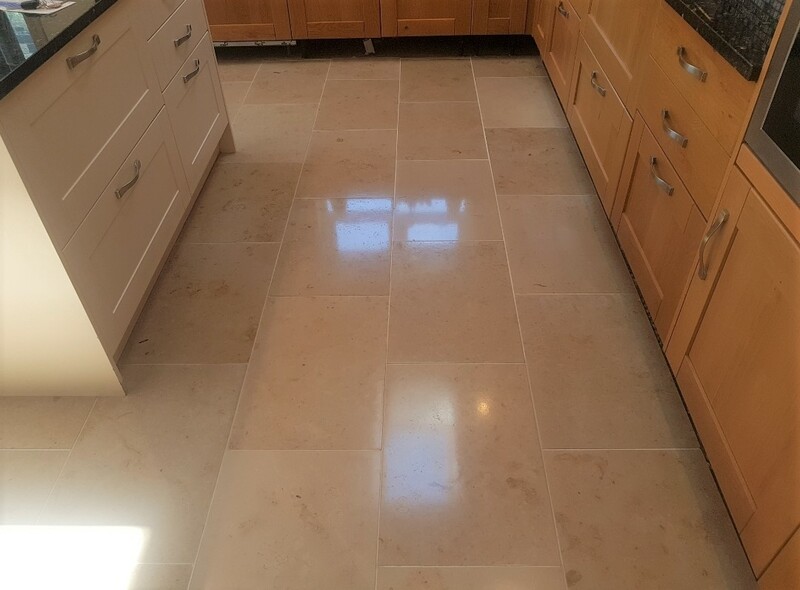 Natural stone products such as Slate need to be sealed for it to look its best, the sealer brings out the best in the natural features and also protects the stone from dirt becoming ingrained in its pores and once that happens it becomes difficult to clean effectively and starts to lose its appearance. 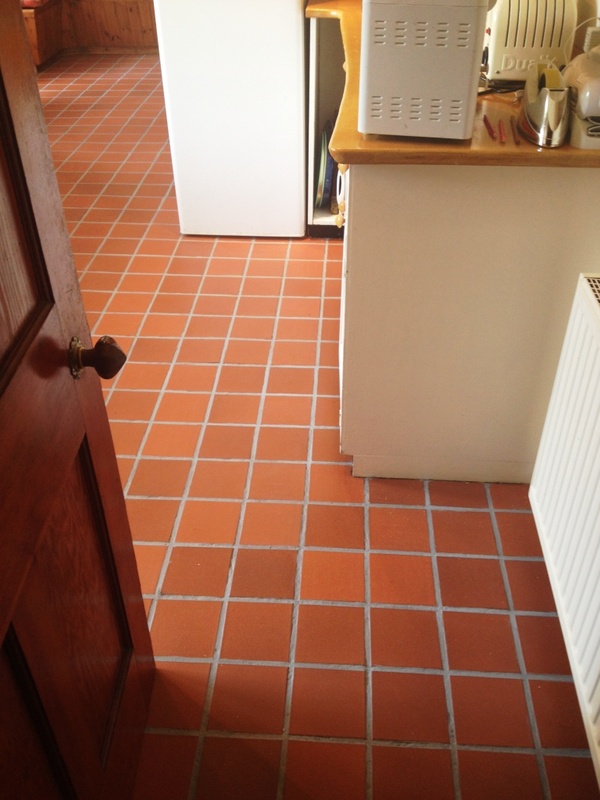 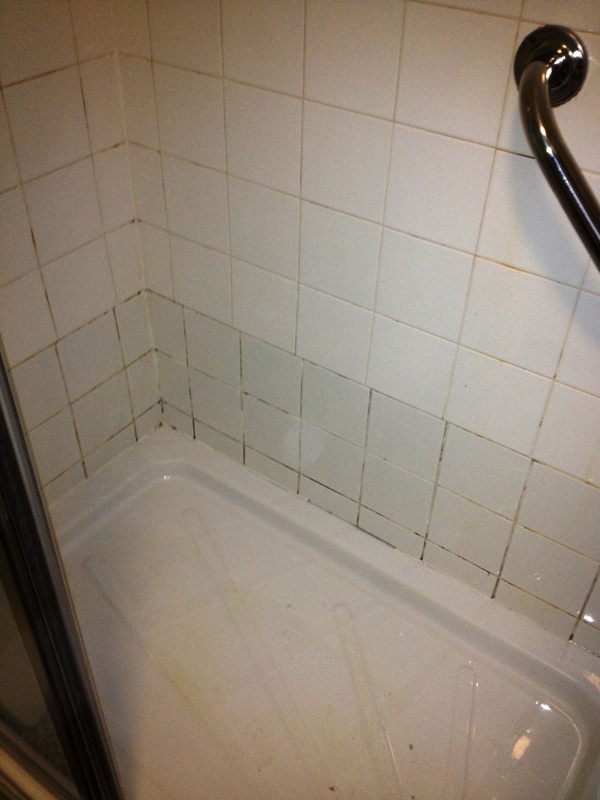 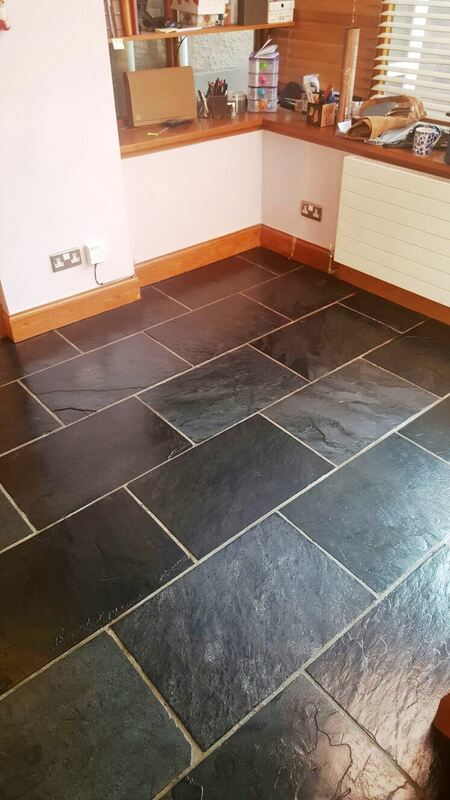 A good example of this is the Slate Tiled Floor shown below where that we were asked to maintain in Edinburgh, the sealer had worn off allowing the stone to dull and the grout to become stained. 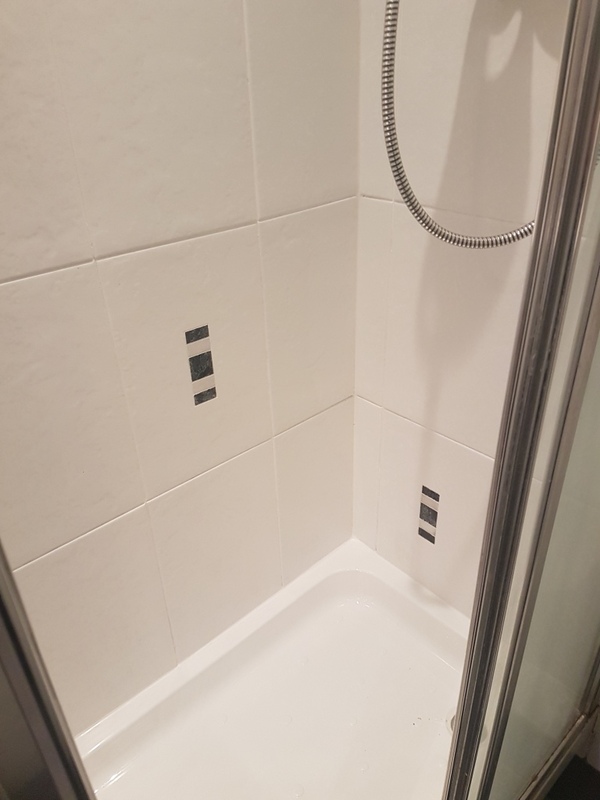 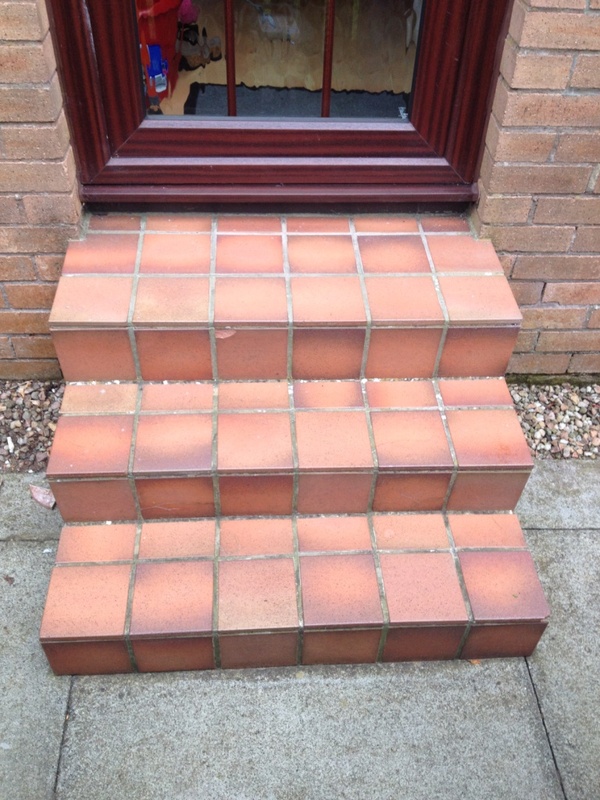 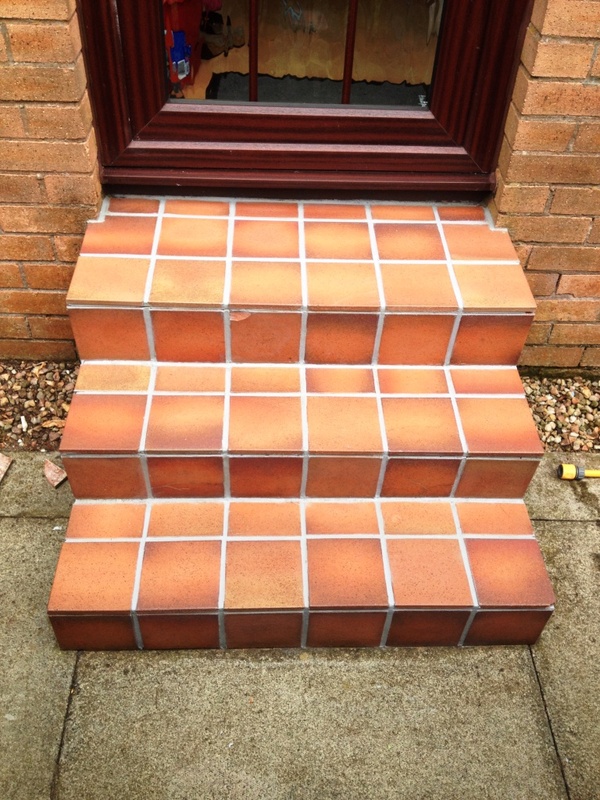 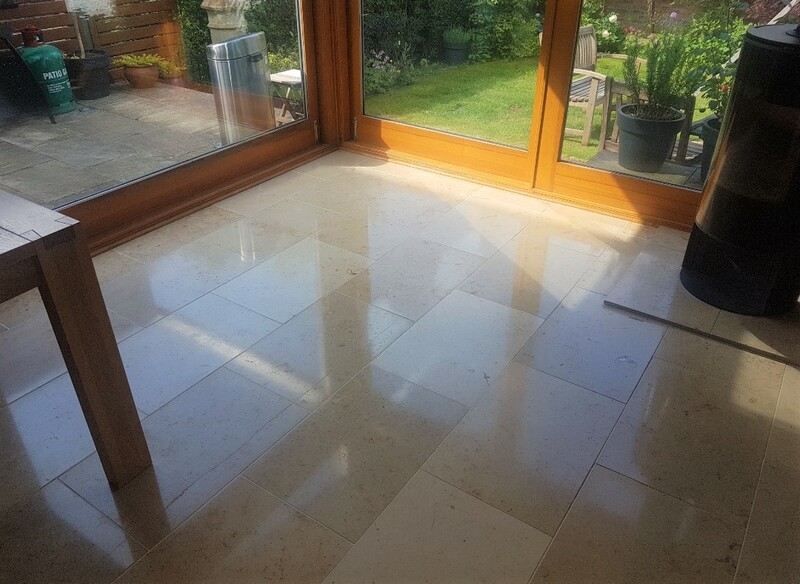 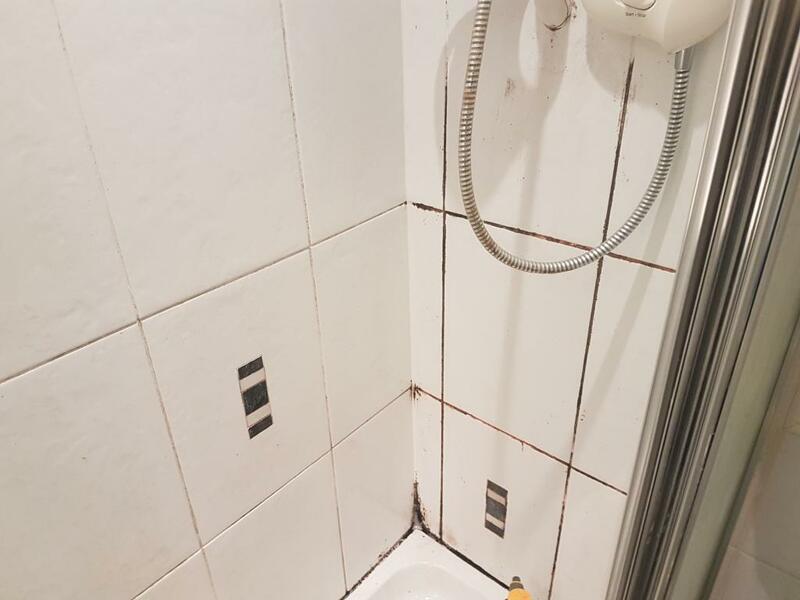 There was still evidence of the previous sealer on the floor so the first job was to strip that off completely using a 50:50 solution of two Tile Doctor products, Pro-Clean and Remove and Go. 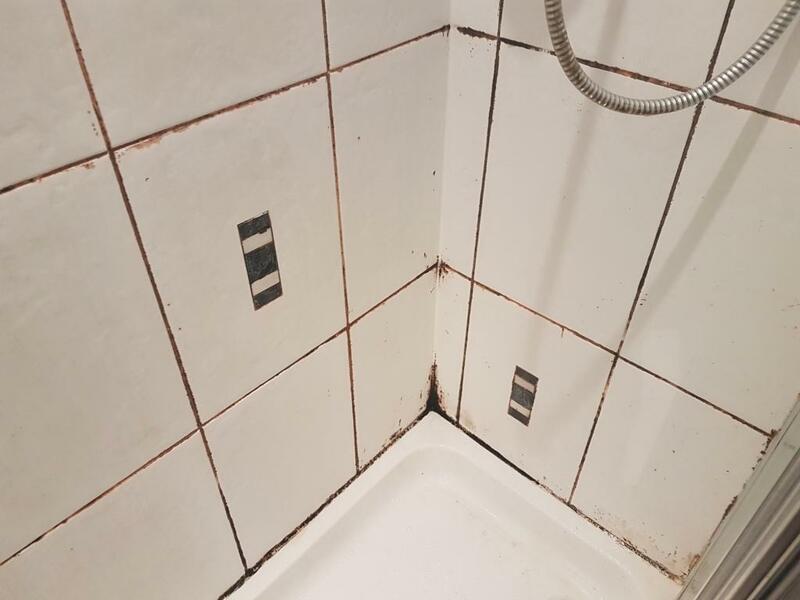 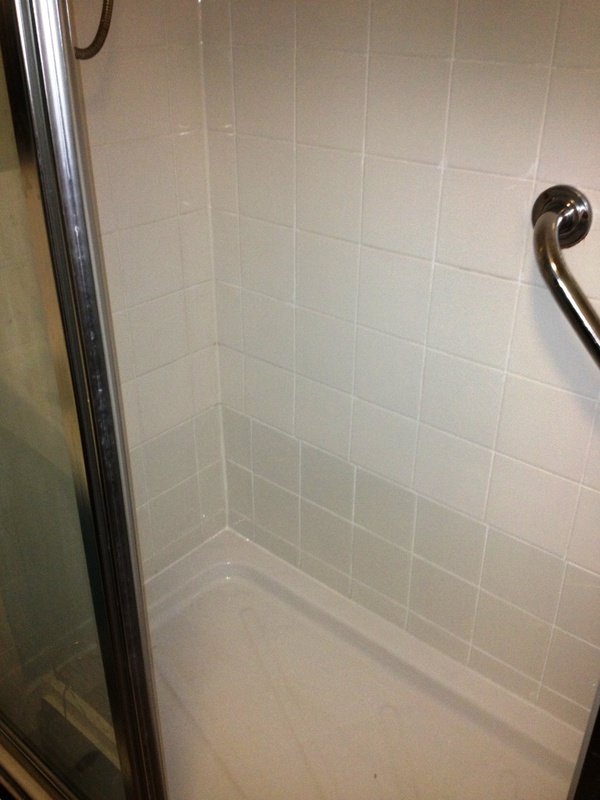 The two products combined together make a powerful cleaner/stripper combination which was left to dwell and soak into the tile and grout for 10-15minutes. 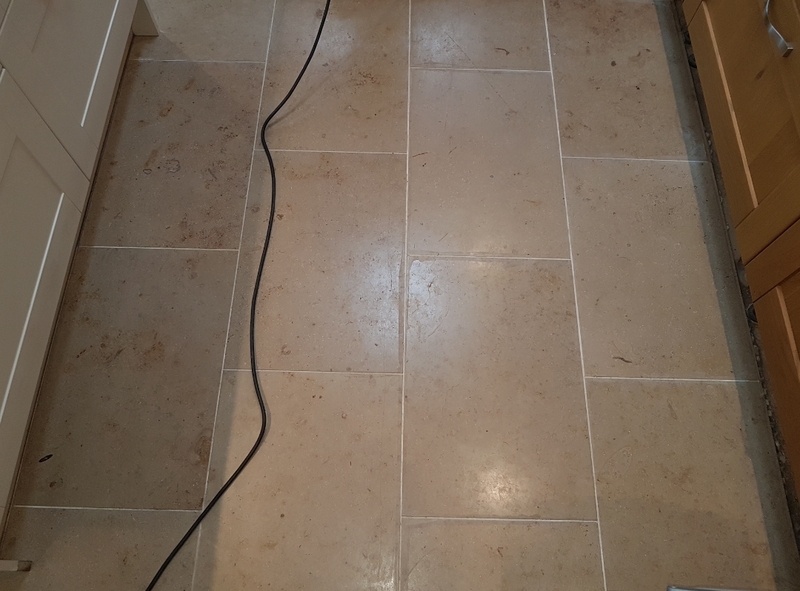 Next step was to scrub the solution into the floor using a scrubbing pad fitted to a rotary machine and a stiff narrow brush was run along the grout lines. 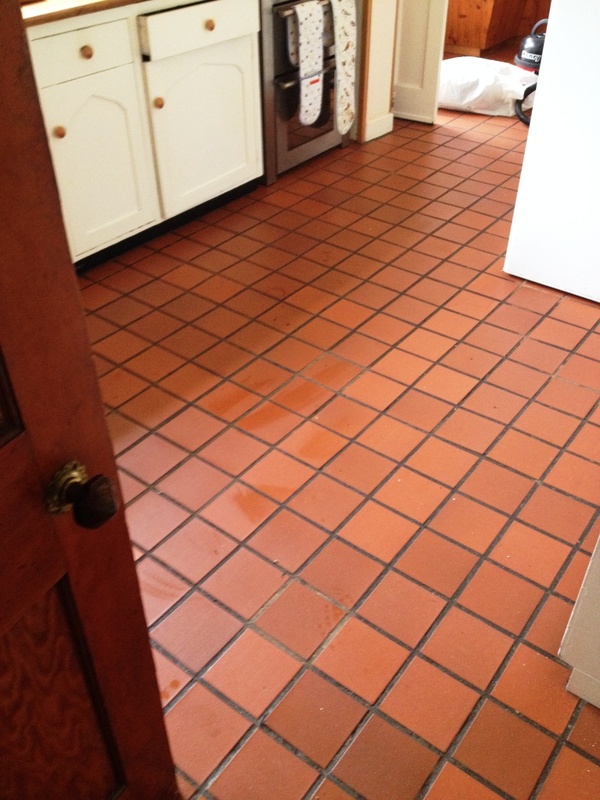 The now dirty solution was then extracted from the floor using a wet vacuum and the process repeated until all the previous sealers and coatings had been removed from the floor. 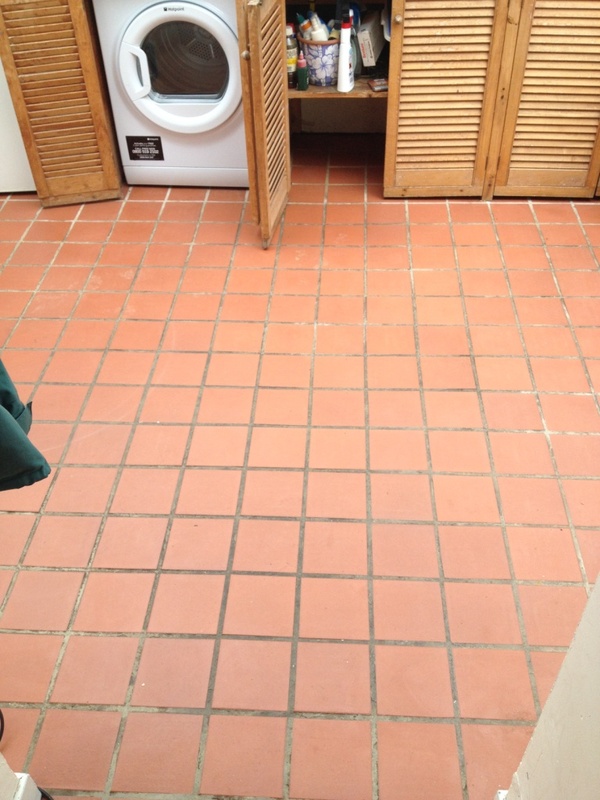 The floor was then given a clean using just Pro-Clean to make sure all dirt had been removed again using a wet vacuum to extract the solution. 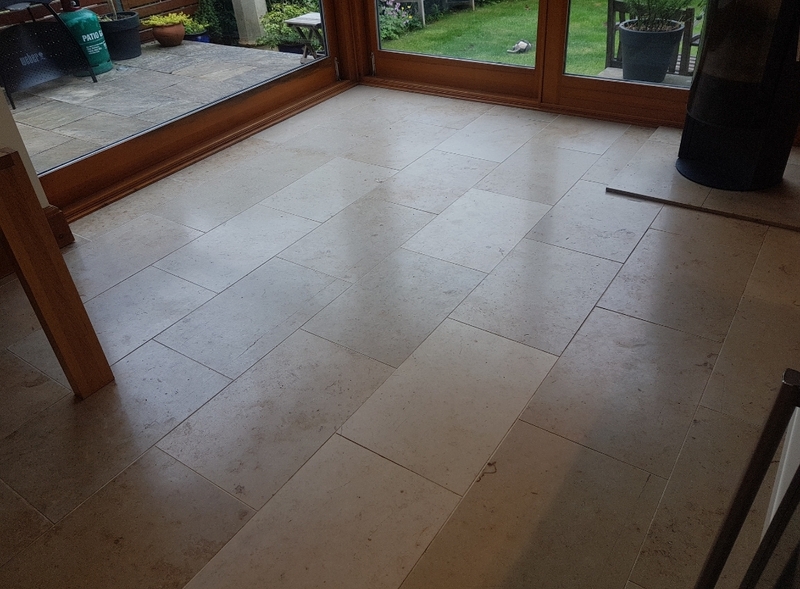 The final part of this process was then to give the floor a rinse with a diluted solution of Tile Doctor Neutral Cleaner to remove any trace of strong cleaning products and the wet vacuum was used to get the floor as dry as possible ready for sealing the next day. 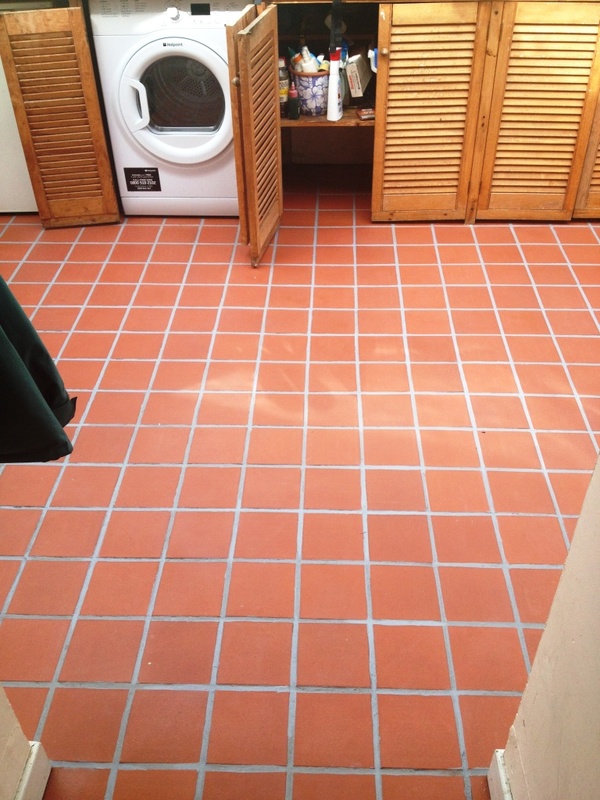 The floor was left overnight to dry and the following day we returned to seal the floor checking first it was dry. 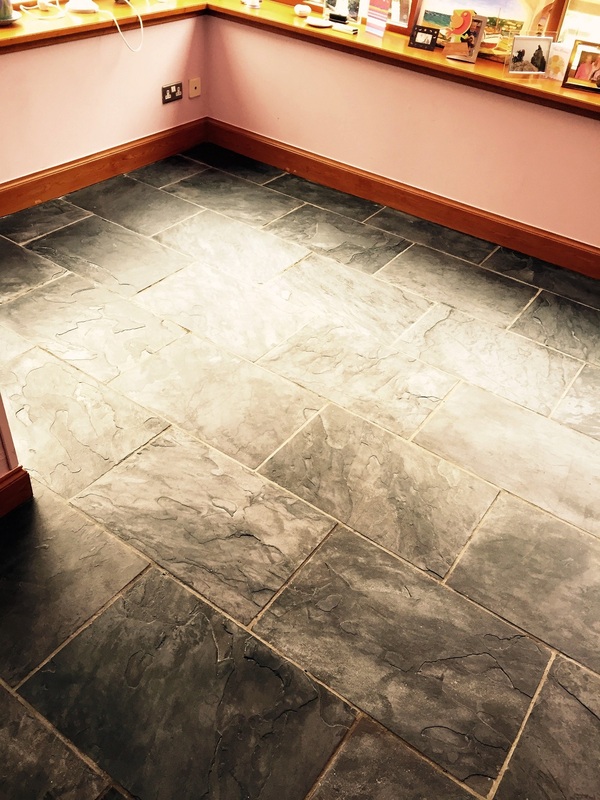 Sealing was done by applying five coats of Tile Doctor Seal and Go which will protect the floor going forward, adds a nice low sheen and works very well on Slate, Quarry and Victorian tiles. 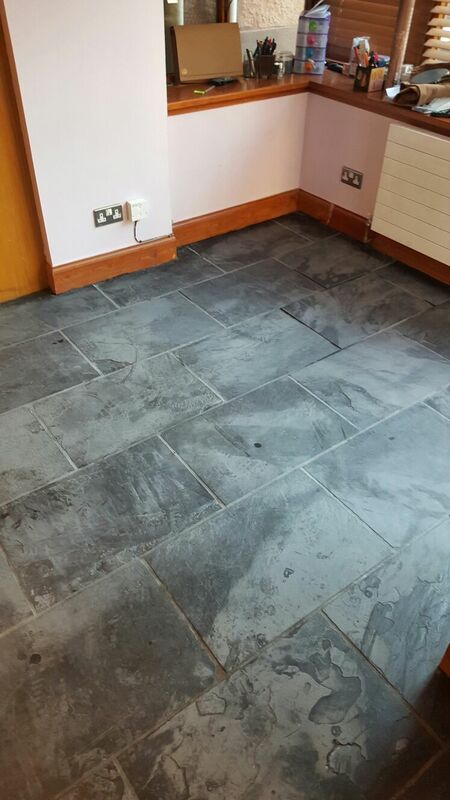 The Slate floor came out really well and the tiles and grout now look like they were recently installed.